My Pumpkin. | Oh Look! It's A Blog! Also this new outfit I have on is a collaboration between Addams and Blueberry. It’s a perfect little kick off to the fall season. The jeans come with an option for the boots or full length as well. 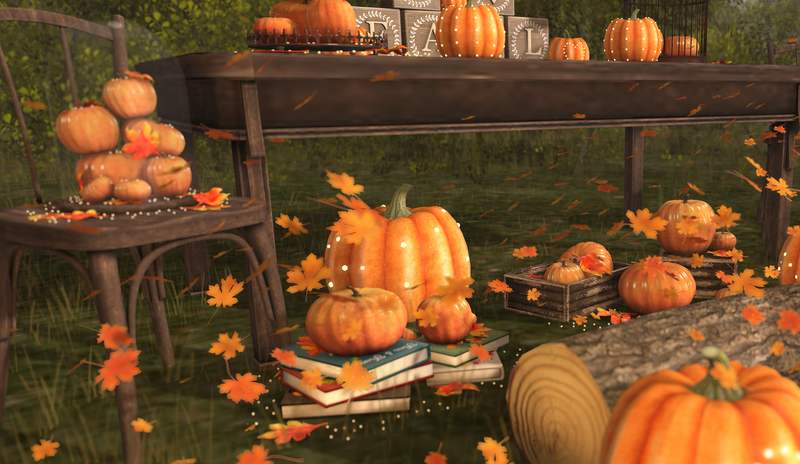 This entry was posted in iheartslFeed, Uncategorized and tagged Addams, Arcade, autumn, Blueberry, Decor, Disorderly, Fall, Gacha, Home, KeKe, Navy&Copper, Pumpkin, Pumpkins, Second Life, Shiny Shabby, SL, The Arcade, what next. Bookmark the permalink.